NRG EVgo: We're #1 With 37% Of The DC Fast Chargers In The U.S. - Tesla Is Only At 24% product 2016-01-15 18:30:15 https://insideevs.com/news/327190/nrg-evgo-were-1-with-37-of-the-dc-fast-chargers-in-the-us-tesla-is-only-at-24/ Charging, evgo, featured, fast charging, NRG eVgo, u.s.
"If you are looking for a Fast Charge you are looking for EVgo! We are the nations leader in Fast Charge Locations! " 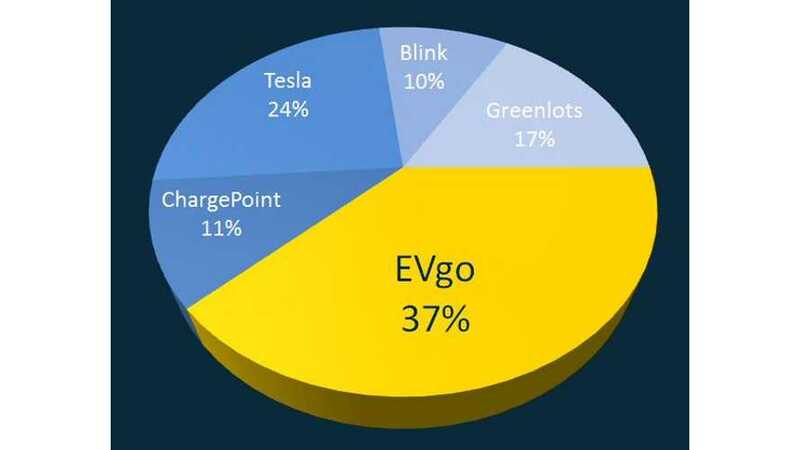 EVgo released a pie chart highlighting its leadership. Update: While speaking to Chargepoint, a representative was keen to note that in actual fact their network had "240 Express DC Fast Chargers" locations. ChargePoint Express units come in a "100" series (up to 24 kWh) and a "200" series (up to 50 kW). It is unclear if EVgo was considering only full speed DCFC units or DCFC units in general. 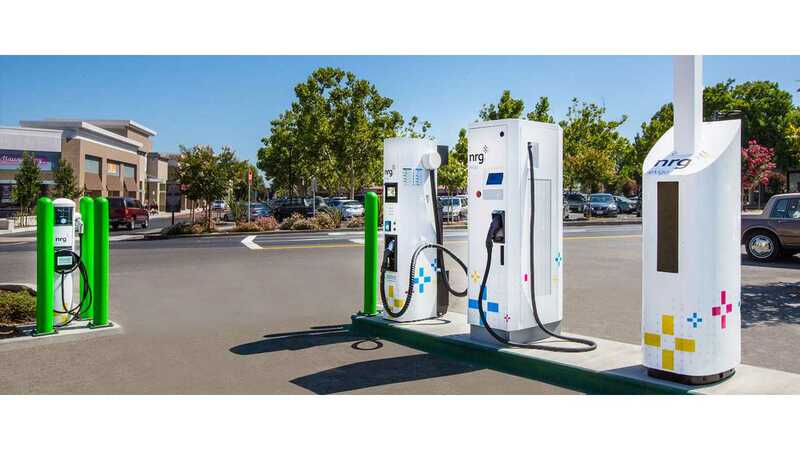 evgo featured fast charging NRG eVgo u.s.